Your basics won’t be boring no more. Stuck in a style rut? These 6 steps will easily give you inspiration on how you can make your closet staples feel like they're new again. Which one will you be trying first? 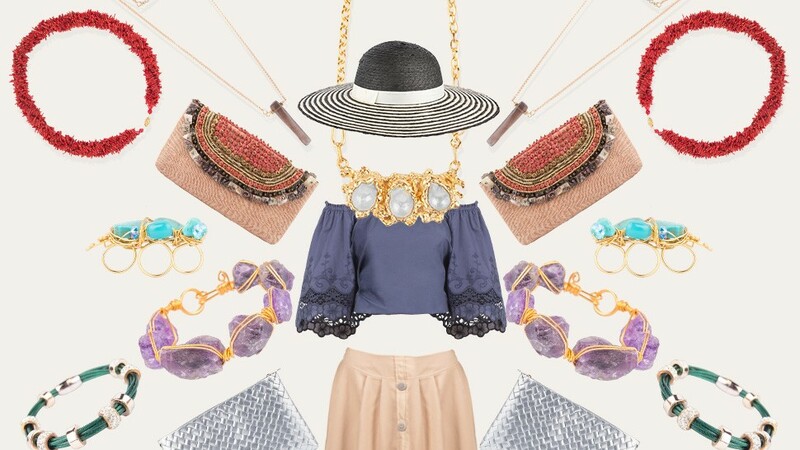 Statement accessories are a tried-and-tested way of breathing new life into an outfit. Switch up the pieces, and you come up with a different ensemble. Bleached coral has an edgy rocker quality while chunky gems have an untamed beauty. Take your pick among precious bracelets and necklaces that don’t say princess—just remember to wear them one at a time. Or go the completely opposite route—if jewelry carry stories with them, then why not tell an entire novella? Stick with metal filigree that’ll look dainty even when compounded while a matchy silver and turquoise pairing can give your look a boho story. 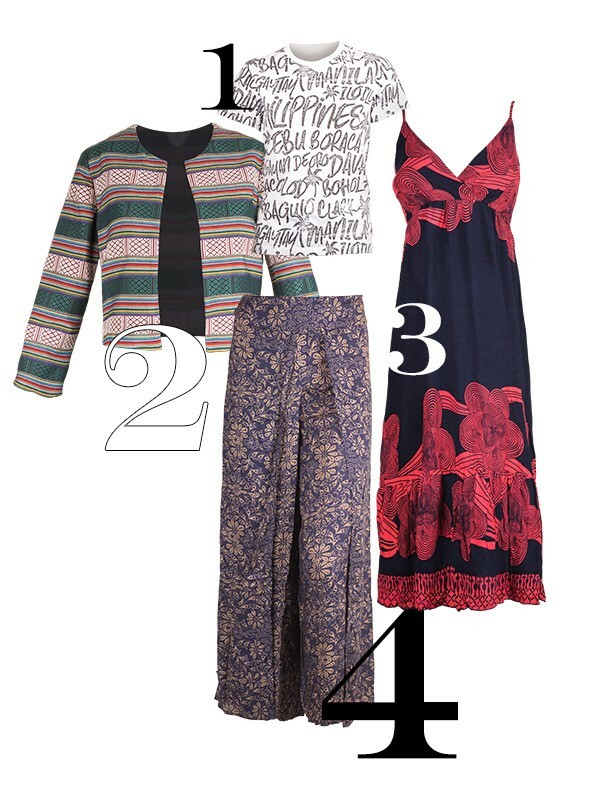 Prints and patterns are a no-brainer if you're looking for a basic look that isn’t, well, so basic. The navy linen maxi would’ve been minimalist, sure, but thanks to the red flowers, it’s tropical. Wide leg bottoms have an even more relaxed vibe when they have a Southeast Asian floral motif on them, while the tee is reminiscent of a Jeffery Rogador collection. Take a knee-length khaki skirt for example. On its own, it’s fine—trendy even; but when done in a below-the-knee A-line, it becomes the French girl favorite. Not feeling like much of a Francophile? Go for a hot off-shoulder top with exaggerated sleeves and openwork detailing. See the rest of the reworked classics you can pick up from Kultura. Hats are the ultimate street style accessory. 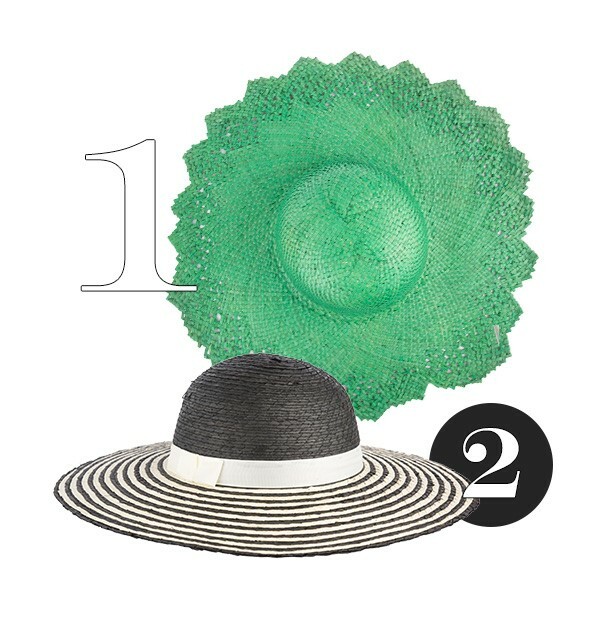 Take your pick among the wide brimmed options for extra flair and sun protection. The straw weaving keeps it breathable and weather appropriate. Chic and practical—that’s a double check in our book. The easiest way to change a look is to change your bag. 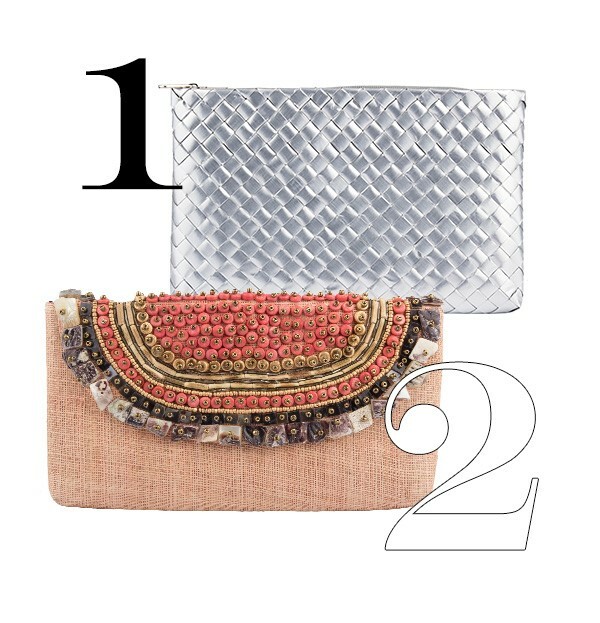 The silver pouch is like a local take on Bottega Venetta’s famed intrecciato weave, and the beaded number is dressy enough for a cocktail event yet casual enough for the mall or the office.